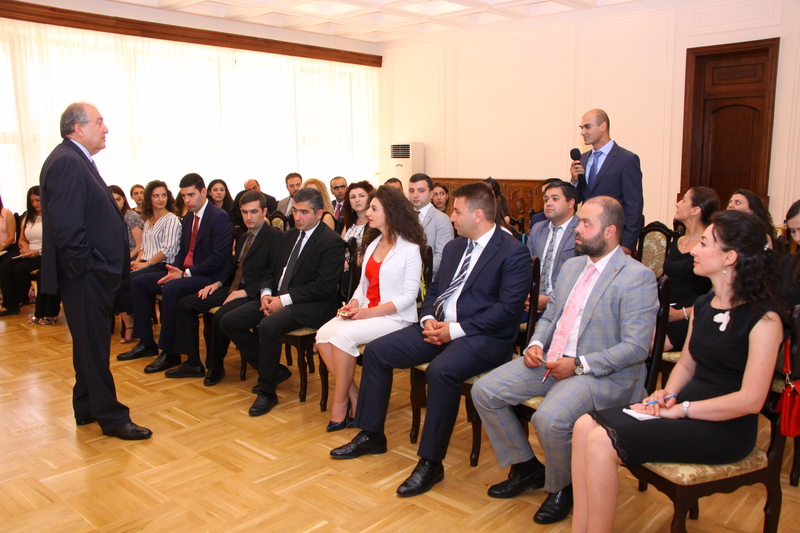 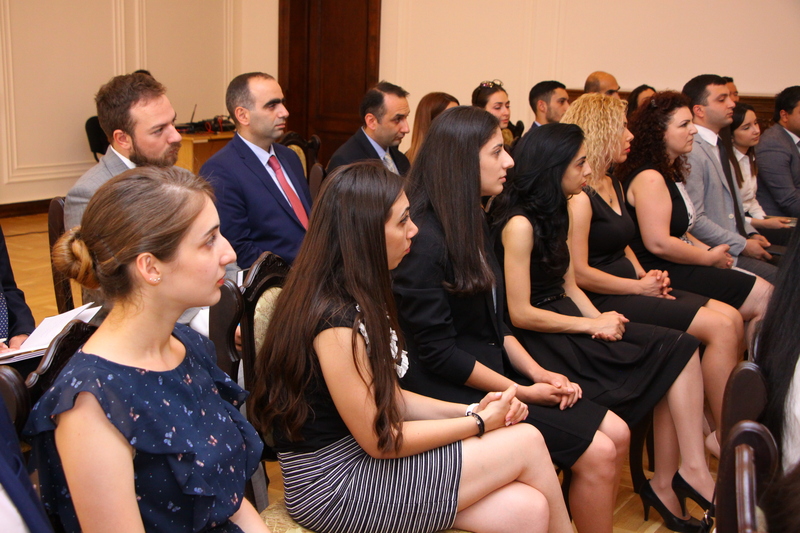 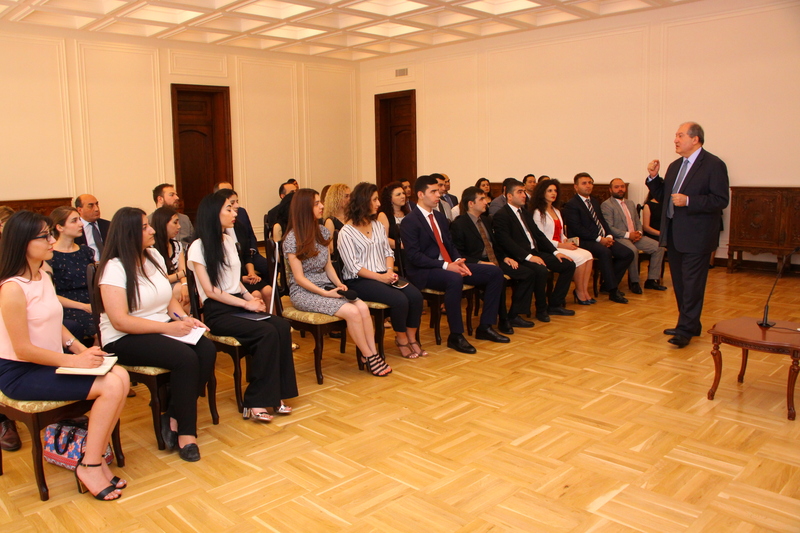 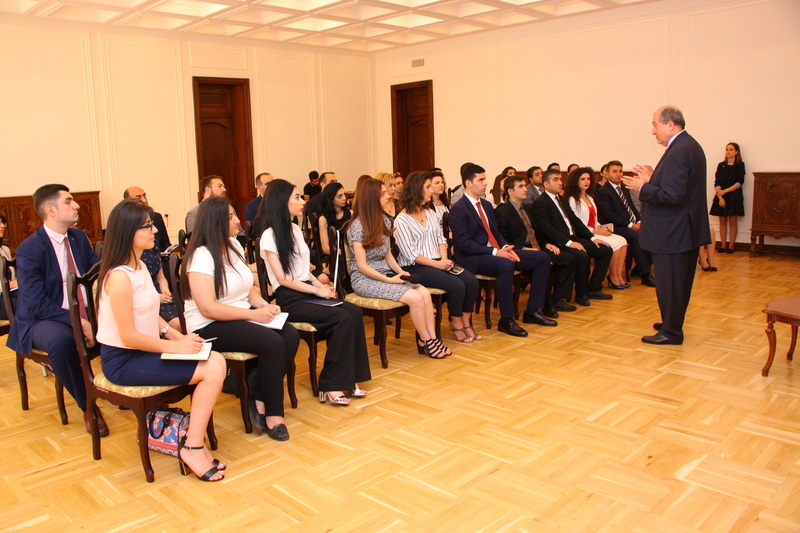 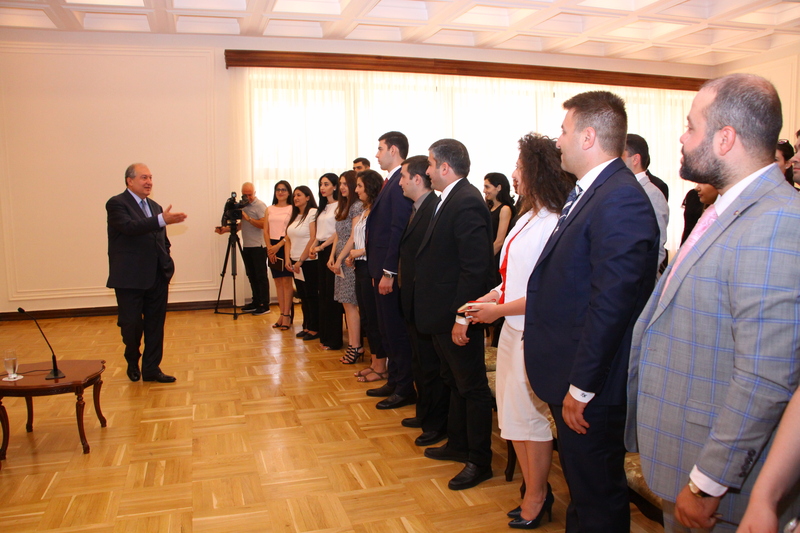 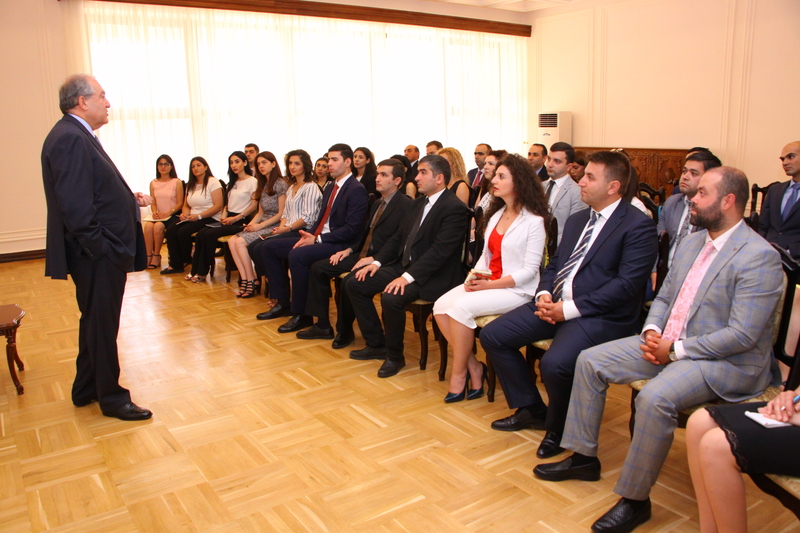 President Armen Sarkissian met today with the graduates of the Leadership School class 2017-18. 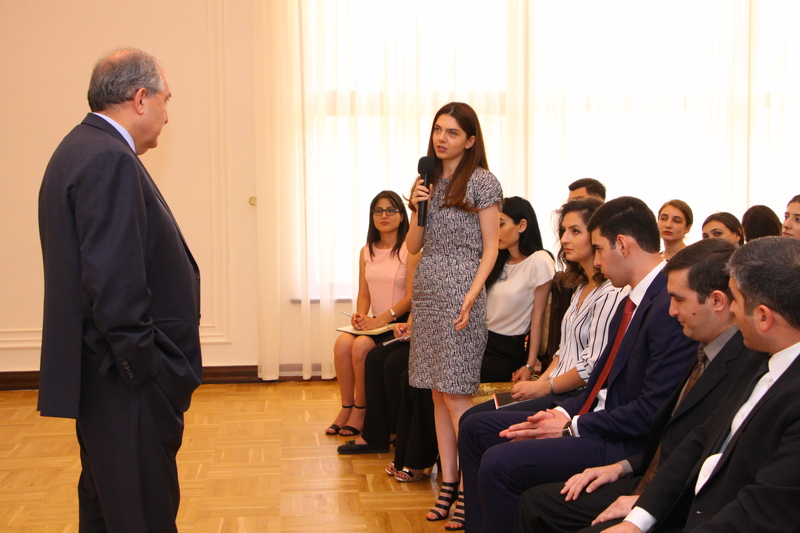 The President conversed frankly with the young people, through a dialogue responded to their questions related to the perspectives of the country’s development, existing challenges, opportunities to use potential of the Armenian Diasporas worldwide and other topics, as well as listened to their opinions and viewpoints. 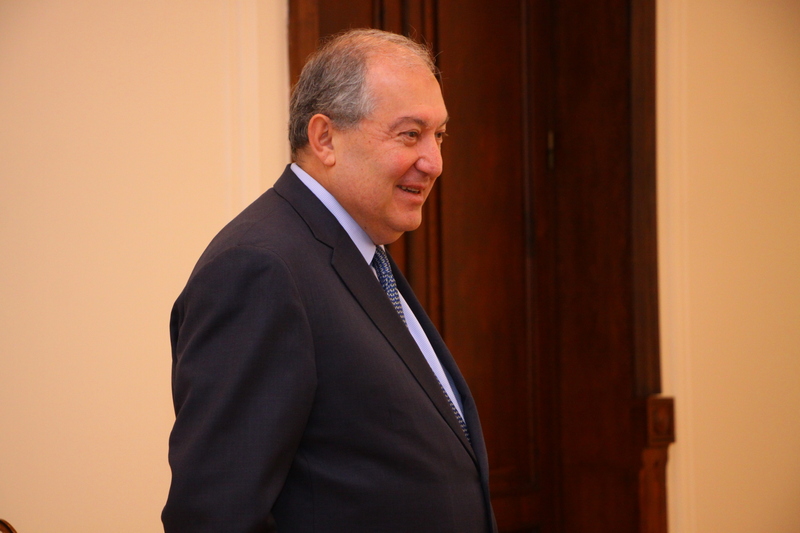 President Sarkissian stressed the importance of having a vision for the country’s development. 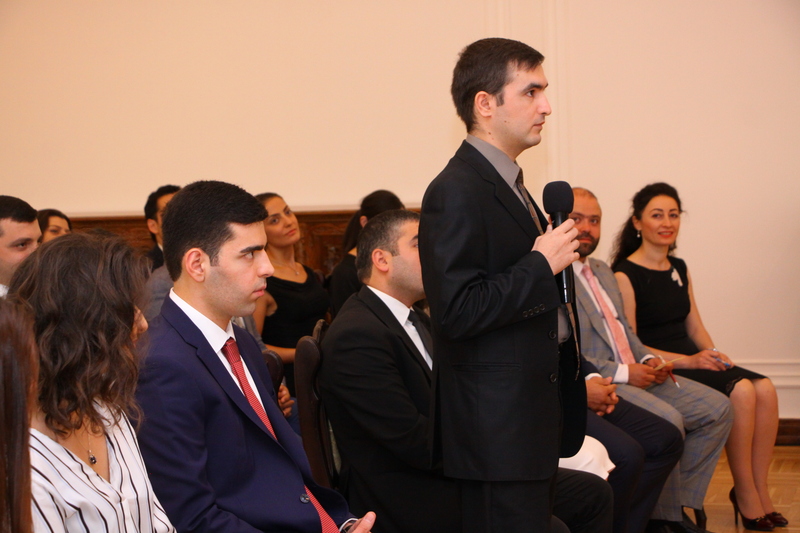 “We need to form not only a vision but also have to understand which way and how the world will progress in the coming 20 to 30 years and where we will be in the process. 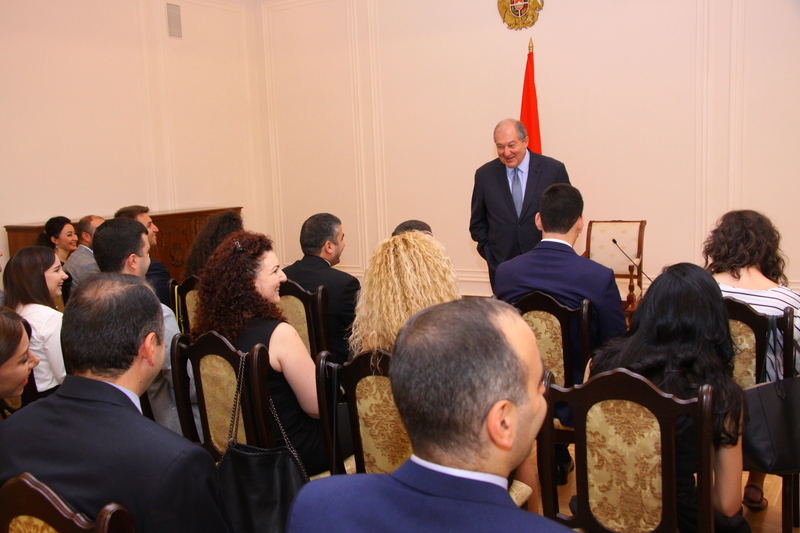 We need to have a program stemming from the vision which will define areas supportive of the advancement and will encourage their development in every possible way,” the President of Armenia said. 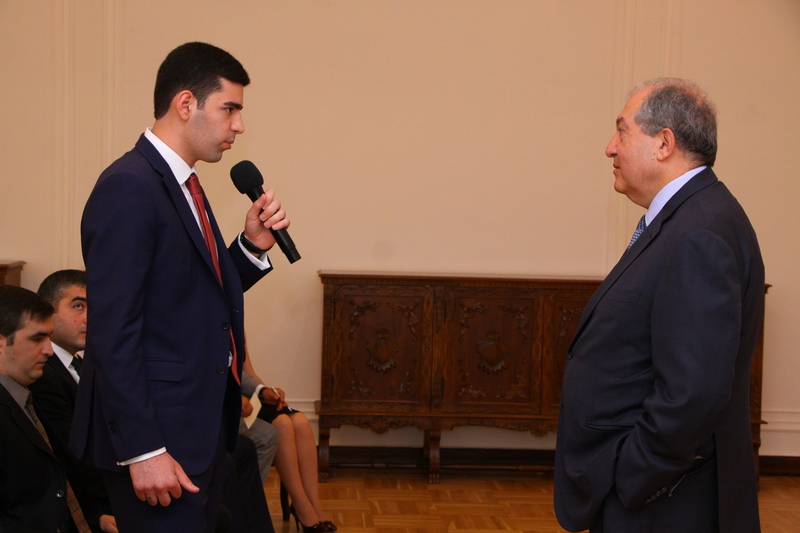 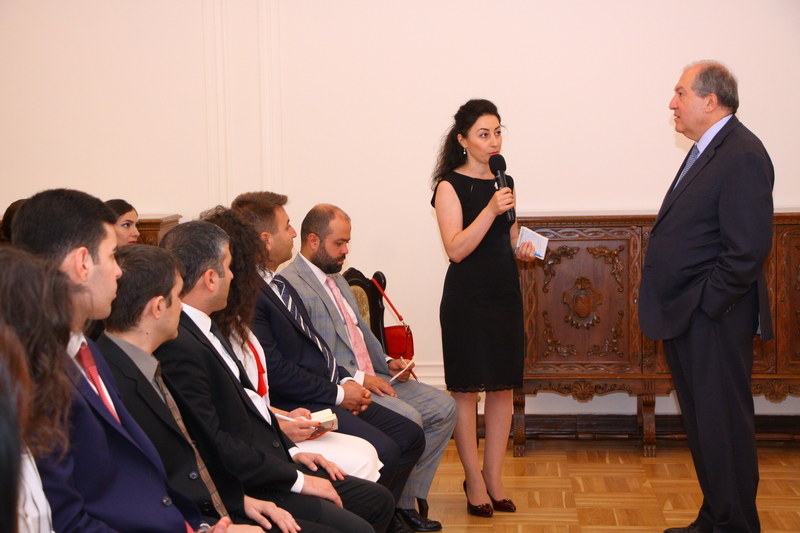 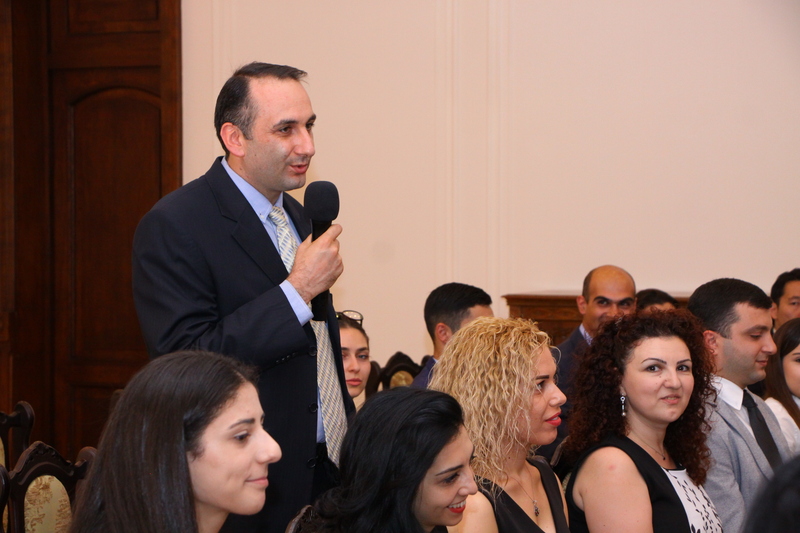 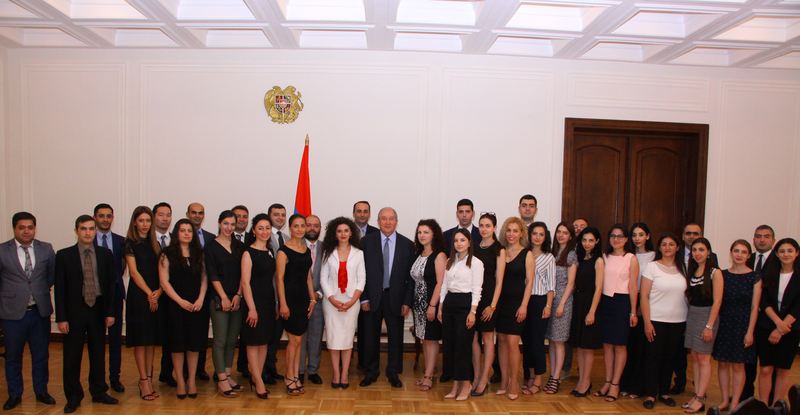 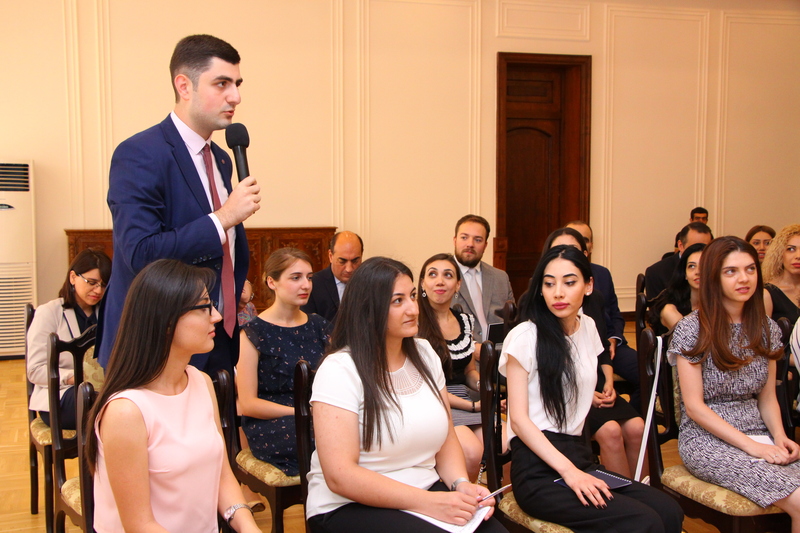 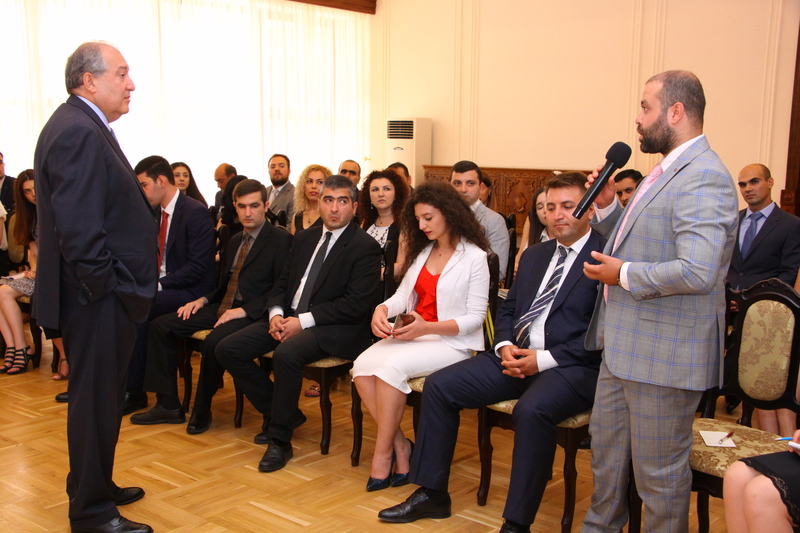 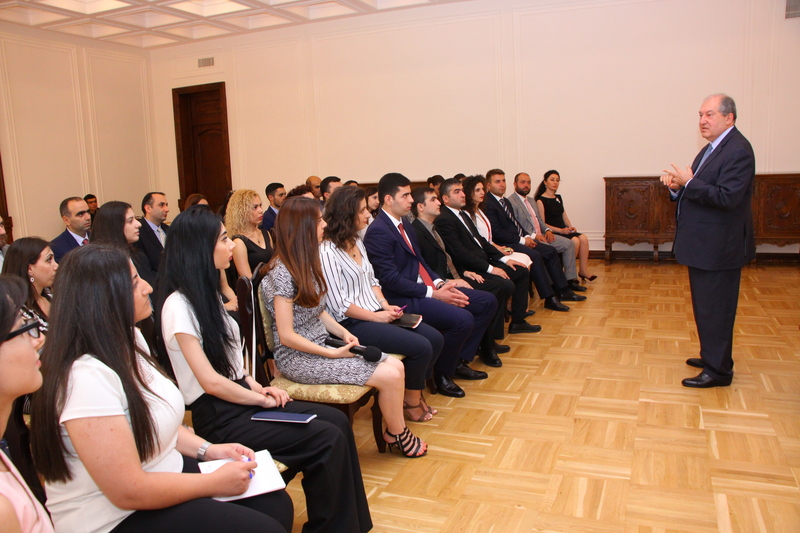 Underscoring the role of the young people as future leaders, Armen Sarkissian stressed the importance of their potential and urged to bring their active participation to the development of Armenia.